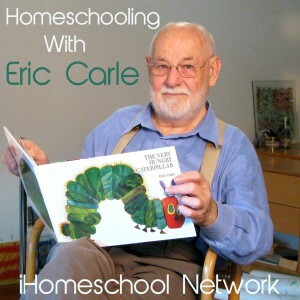 If you have young children, I am sure you have seen at least one Eric Carle book. The illustrations are brightly colored and very distinguishable. We love them so much that I created Bug & Insect Units around some of them. 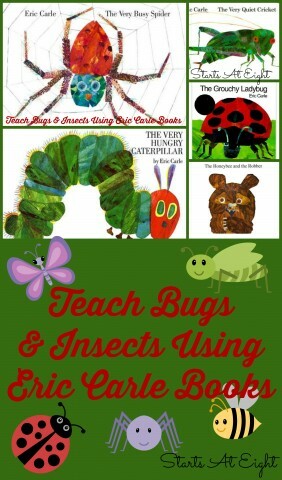 It is fun and engaging to teach bugs and insects using Eric Carle books! 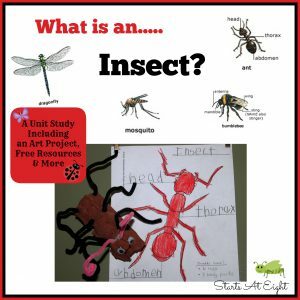 Learn about what makes an insect and insect. Label a free diagram and make a fun craft in this general bug/insect mini unit. This includes many great website and book resources for any bug/insect unity study. Did you know there are over 5,000 species of ladybugs? We didn’t until we read this book and dug more into the world of ladybugs. 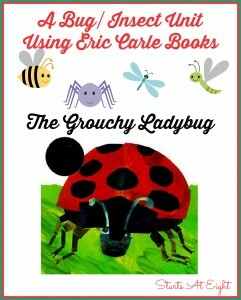 Read The Grouchy Ladybug , watch a life cycle video, create a fun lapbook, make a cute edible treat and more in this ladybug unti study. 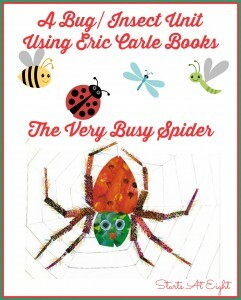 In this bug/insect unit about spiders you will read The Very Busy Spider . Then your child will learn spider facts, complete a spider lapbook, learn a fun song, and more! 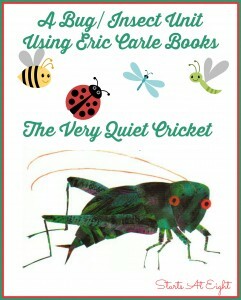 In this bug/insect unit you will read The Very Quiet Cricket . Your child will learn about crickets and how they are different from grasshoppers. While I have not finished the Hungry Caterpillar specific unit study (It will be COMING SOON) I do have a fun mini-unit on the Caterpillar to Butterfly Life-Cycle. As well as an article about visiting a Butterfly Garden to enhance your study (also COMING SOON). The Honeybee & the Robber is a fun moving/picture book about a honeybee and the bear who tried to rob the hive. 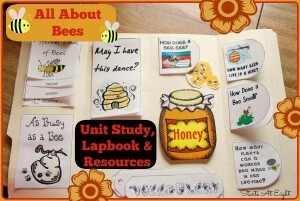 I created this fun All About Bees unit study to go along with it. This includes a fun science video for kids, a lapbook, labeling activities and more!